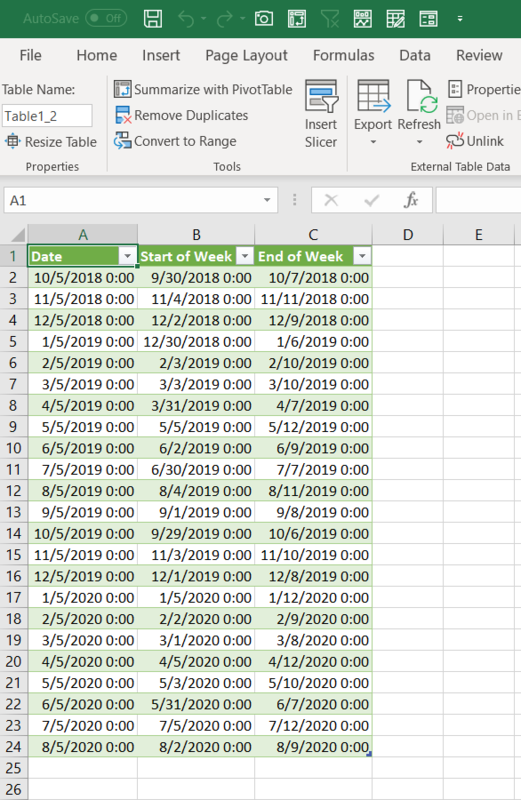 One of the most popular posts on Excel Unplugged is Formula to get the Start and End Date of the Week. For the last two years I’ve been a strong advocate for Power Query. 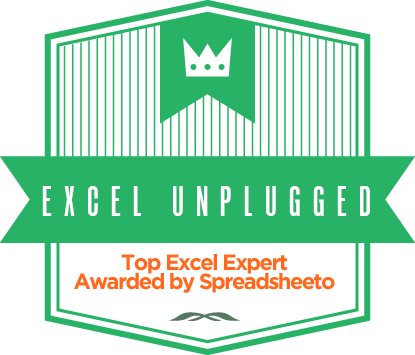 Now whereas Power Query is brilliant and can do amazing things, I like to point out the little things it does that just embellish Excel. 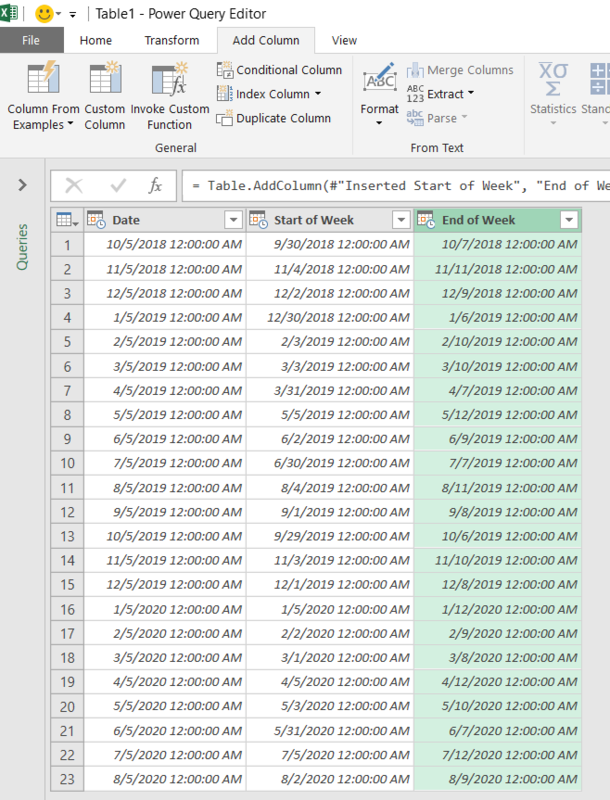 So talking about things that Excel already does, but can be done better (faster) with Power Query. 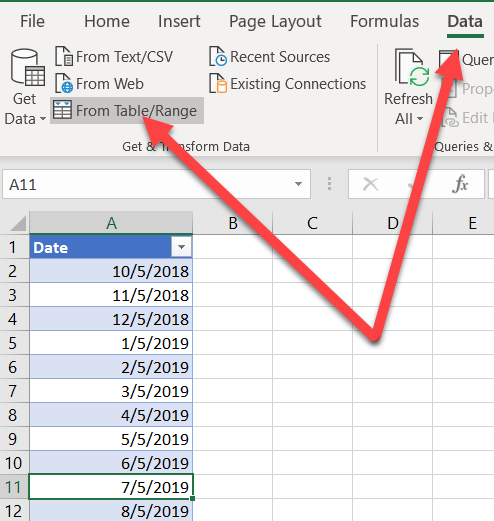 Recently, I wrote about “substituting” Vlookup’s with Power Query here and here. 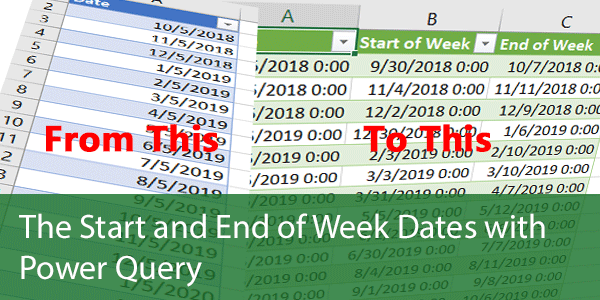 Now I will show you how to get the dates of the first and the last day of the Week with Power Query. 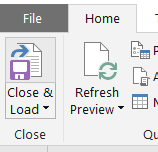 This will fire up the Power Query Editor. Now let’s add a start and end date of the week. We now got the End of Week Date in a new column. All that is left for us to do is to Close & Load this query and load the data back to Excel. 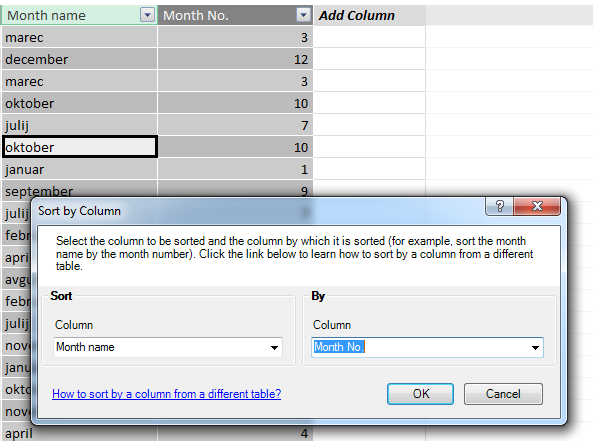 Once again, Power Query just enhancing Excel. Beautiful! 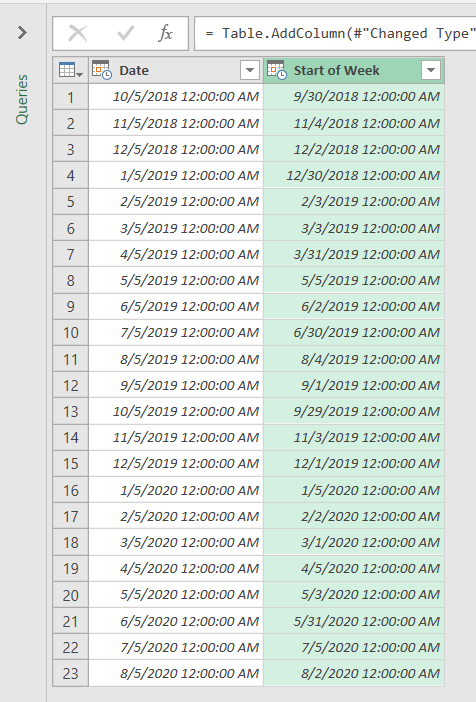 I strongly suggest, you give Power Query a try and just check out the Add Column/Date options. Some will surprise and amaze you. And the ease of it is what is most amazing about it!